What says Summer more than a relaxing afternoon outside with a mason jar filled with sweet iced tea? How about a Refreshing Spiked Peach Iced Tea? Check out this easy recipe! Fill a mason jar with ice, add vodka and sweetened or unsweetened iced tea, depending on your preference. 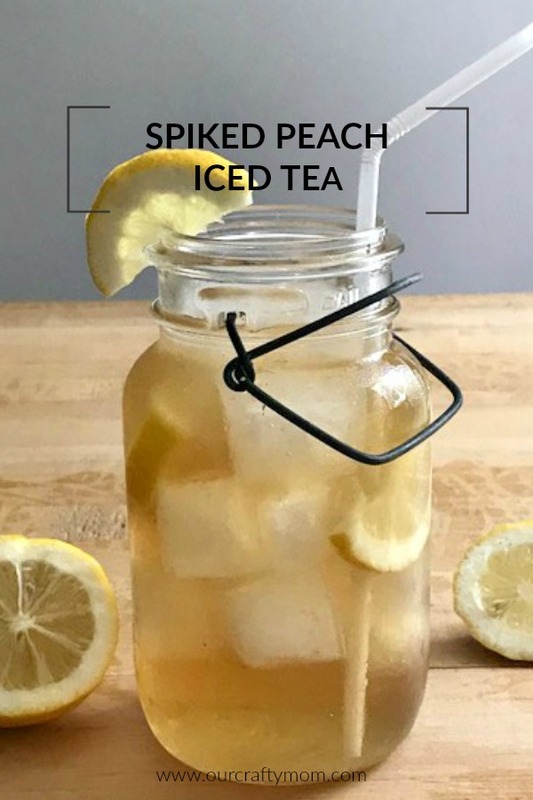 Add the peach schnapps and lemons and enjoy your Sweet Peach Iced Tea! Of course, you have to serve it in a mason jar right? You could also add a couple of peach slices if you wanted to. 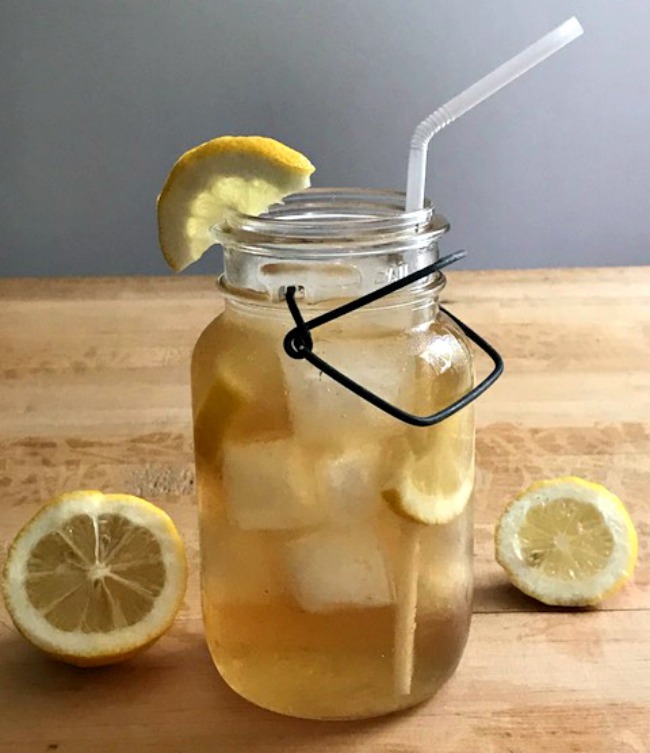 This would be a perfect drink to make in a pitcher to share with your friends on a hot Summer’s night or at a barbecue. Such a simple, but refreshing drink. I hope you enjoyed our Summer Cocktail Series. It has been so fun to see what everyone made and I was able to test out some new drinks! Thank you to Michelle from Weekend Craft for hosting this blog hop. I was able to meet Michelle in Charleston and wish I had thought to take a picture. We are both from New England but had to go to South Carolina to meet, lol! Stop by to see the other summer cocktails below. 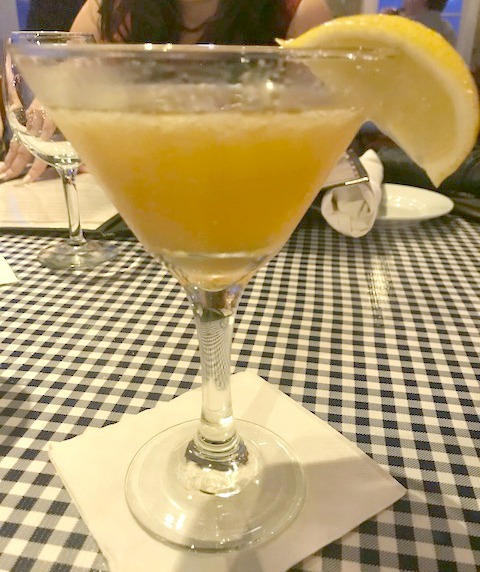 You can also check out my Fireball Dessert Shot here and my Lemon Drop Martini here. Wow now this is a drink I would enjoy! And yes, it MUST be served in a mason jar. I am glad you had a good time in Charleston, it is a beautiful area. What a yummy drink! Thanks for the recipe. This is my kind of drink. Thank you so much for joining in on the cocktails series. I have loved getting to know you both online and at Haven. Can’t wait for the fall cocktails! Sounds delicious! This would make a great signature drink at a Georgia wedding. Pinned. This looks special and the perfect way to celebrate August. Pinning. Yes! It is very refreshing!